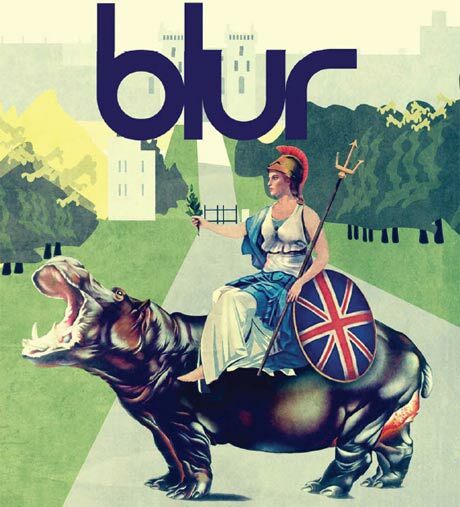 Britpop greats Blur are set to headline a concert at London's Hyde Park this Sunday (August 12) as part of the closing ceremonies of the London 2012 Olympic Summer Games. Don't worry if you haven't got yourself a ticket to the long sold-out show, though. The band will be offering up the entire concert as a digital download next week, with physical copies arriving shortly thereafter. Consequence of Sound points out that the band will issue their live set from Hyde Park via iTunes on Monday (August 13), while a two-CD package titled Parklive will arrive the following week. Parklive will contain the Hyde Park performance, as well as a bonus disc of live cuts culled from some of the group's other recent gigs. A tracklisting has yet to arrive, so as not to spoil the surprise on Sunday, but you can pre-order the package here. A deluxe five-disc version of Parklive is scheduled to drop in November. This variation will contain three CDs' worth of live audio and a DVD chronicling the Hyde Park gig, and will also include a bonus concert disc titled Blur Live at the 100 Club. The discs will be housed in a hardback book that will feature over 60 pages of new, exclusive photographs taken at the recent shows. Pre-orders are also being taken here.